William Crawford was born in Virginia in 1732. He was a farmer and a surveyor for most of his life, although he is more commonly known for his military experiences. Crawford fought in the French and Indian War, participating in both General Edward Braddock's campaign in 1755 and the capture of Fort Duquesne in 1758. He also served in Pontiac's Rebellion. In 1766, Crawford and his family moved to western Pennsylvania. During the next several years he served as a land agent for George Washington and was also a local judge. Crawford participated in Lord Dunmore's War in 1774, destroying two American Indian villages in Ohio. During the American Revolution, Crawford participated in a number of battles, including Trenton, Brandywine, and Germantown, before becoming involved in protecting the western frontier. He participated in Andrew Brodhead's attack on the Delaware Indians at Coshocton in 1781. The same year he resigned from the militia, and chose to retire from military service. Crawford's retirement was short-lived. In 1782, Crawford led a combined force of Virginians and Pennsylvanians in an attack on the Seneca-Cayuga -- the so-called "Mingo" (an offensive exonym) -- and Delaware along the Sandusky River. David Williamson and a number of the men who had participated in the Gnadenhutten Massacre were among his troops. Crawford and his men fought off the American Indians and their British allies at the Battles of the Sandusky and Olentangy on June 4-6, 1782, but the following day the American forces were divided and Crawford and a number of his men were captured. In revenge for the Gnadenhutten Massacre, the natives tortured Crawford before burning him at the stake. 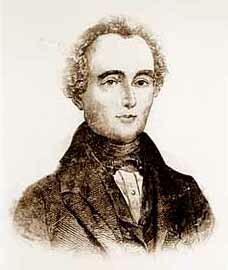 Another prisoner, Dr. John Knight, managed to escape and spread the news of Crawford's terrible death. According to Knight's account, Simon Girty had stood by and watched the torture, refusing to give in to Crawford's pleas for Girty to shoot him. Ironically, Williamson was not captured and returned to Pennsylvania unharmed.